The draw will be open, meaning, for example, that Real Madrid CF and Barcelona can meet, with the ties to be played on 14/15 and 21/22 April. The semi-final draw follows in Nyon on 24 April, and those games will take place on 5/6 and 12/13 May. The 2014/15 UEFA Champions League final will be held on Saturday 6 June at the Olympiastadion, Berlin. 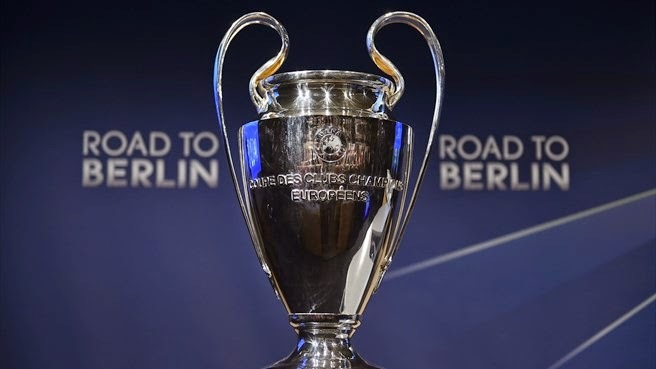 All the draw proceedings will be transmitted live on UEFA.com. Our live DrawCentre will also bring you the build-up and post-draw reaction from Nyon. In the meantime, swot up with the full head-to-head records and team statistics below. *Last QF and QF record refers to aggregate results in the European Cup.